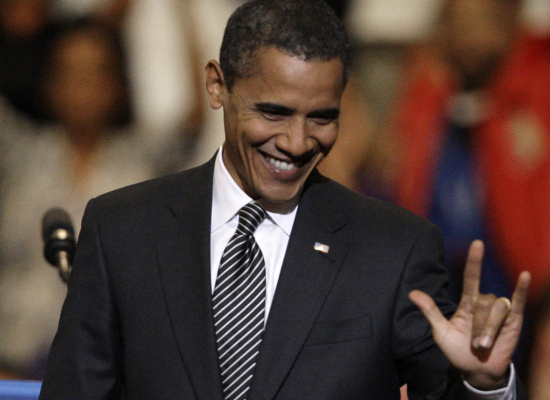 Obama won’t have anything to lose if he’s sworn in during January’s inauguration. The results of the upcoming US presidential election will determine who Americans have decided to let run the country for the next four years. For firearm enthusiasts, it could mean the future of their livelihood. That’s how it’s being viewed, at least, as Republicans ramp-up warnings that four more years of an Obama White House is comparable to an end of the Second Amendment. Fears of renewed, stricter legislation against guns under a second Obama administration has firearm sales soaring, and a victory for the incumbent on November 6 could have those figures shooting through the roof. Although President Obama hasn’t followed through with the Republican-driven fears that he’d wage a war on the right to bear arms, a victory on Election Day for the Democratic candidate would mean four more years of the incumbent, but not any longer. Federal law limits US presidents from serving more than two consecutive terms, which means President Obama won’t have anything to lose if he’s sworn in during January’s inauguration. Although he hasn’t introduced gun laws during the last three-and-a-half-years — and seems likely to not make any changes during the next four — a win on Election Day would mean a lame-duck term for the commander-in-chief where he’d be free to pass any legislation that would have lessened his chances of re-election the first time around. Joe Arterburn, a spokesperson for hunting gear manufacturer Cabela’s, says he expects a surge in gun sales if Obama wins next week’s election. If GOP opponent Mitt Romney walks away victorious, he says he thinks his customers will continue to spend money on firearms and ammo, but not necessarily to the same degree. “If Mitt Romney is elected and there’s no perceived threat on the freedom to own guns, people might decide to spend disposable income on things like outerwear instead,” Arterburn tells the Wall Street Journal. Even after an onslaught of mass shootings in America during 2012, President Obama has failed to reveal any plans to limit gun sales during a second term, even announcing during a recent televised debate that he’d push for enforcement of the current laws — not new ones — as would Gov. Romney. Because his pre-presidential record in the US Senate suggests he might be even remotely willing to strip away gun rights, though, Republicans say next week’s vote could be one of historic circumstances. Jim Barrett, an industry analyst at C.L. King & Associates Inc. in New York, tells the Associated Press that President Obama “is the best thing that ever happened to the firearm industry,” and that’s a fact that hasn’t changed during the last few years. The president’s aides put up an argument, however, and note that Obama has done nothing to limit firearms so far in his terms. “President Obama’s record makes clear that he supports and respects the Second Amendment and the tradition of gun ownership in this country, and we’ll continue to fight back against any attempts to mislead voters,” campaign spokesperson Adam Fetcher tells the Journal. For Americans that don’t dig deep to find the facts, though, statements like that could be easily skipped. Republicans are aware, and are using that to take advantage. “Defend freedom, defeat Obama,” an ad purchased by the National Rifle Association that aired last month insists. To the AP, NRA spokesman Andrew Arulanandam says Obama’s actions — even indirectly — are enough for the organization to support Gov. Romney this year. “Gun owners and hunters fear that a second Obama administration with no future political campaigns to worry about will try to destroy this great American freedom,” Arulanandam said, echoing the advert’s message. He explains that even if the president has publically said he doesn’t want any changes, he has appointed two Supreme Court justices considered anti-gun by the NRA, and the botched fast-and-furious gun-walking fiasco could be used during the next administration as a platform to push for restrictions. “There’s no political downfall if Obama enacts more stringent gun-control measures,” Arulanandam adds to the Journal. The Center for Responsive Politics out of Washington reports that the NRA and its affiliated political committees have spent $10.7 million on the presidential campaign as of late October, with most of it happening just during the last few weeks. So far in 2012, the number of background checks for would-be gun buyers is up from 56 percent when compared with the weeks before the 2008 presidential election. In Wyoming, the number of concealed firearm permits has increased steadily since 2007, with the latest figures nearly double what they were five years earlier. Nationally, the Bureau of Alcohol, Tobacco, Firearms and Explosives notes that the number of licensed gun dealers has only shot up — albeit slightly — since Obama took the oath of office. Even if it’s just a tiny surge, it’s an increase nonetheless, and it looks to continue that way in 2012 — a feat that hasn’t occurred since the early President Clinton administration in 1992. Ruger, the fourth-largest firearms manufacturer in America, says its sales have increased by 86 percent since the beginning of the Obama administration. DOSWELL, Va. (AP) — Five days before the election, Republican challenger Mitt Romney and President Barack Obama vied forcefully for the mantle of change Thursday in a country thirsting for it after a painful recession and uneven recovery, pressing intense closing arguments in their unpredictably close race for the White House. Early voting topped 22 million ballots. Republicans launched a late push in Pennsylvania, long viewed as safe for Obama. The party announced a $3 million advertising campaign that told voters who backed the president four years ago, “it’s OK to make a change.” Romney and running mate Paul Ryan both announced weekend visits to the state. A three-day lull that followed Superstorm Sandy ended abruptly, the president campaigning briskly across three battleground states and Romney piling up three stops in a fourth. The Republican also attacked with a tough new Spanish-language television ad in Florida showing Venezuela’s leftist leader, Hugo Chavez, and Raul Castro’s daughter, Mariela, saying they would vote for Obama. The storm intruded once again into the race, as New York Mayor Michael Bloomberg endorsed the president in a statement that said Sandy, which devastated his city, could be evidence of climate change. The ever-present polls charted a close race for the popular vote, and a series of tight battleground surveys suggested neither man could be confident of success in the competition for the 270 electoral votes that will decide the winner. The presidential race aside, the two parties battled for control of the Senate in a series of 10 or more competitive campaigns. The possibility of a 50-50 tie loomed, or even a more unsettled outcome if former Gov. Angus King of Maine, an independent, wins a three-way race and becomes majority-maker. Obama’s aides left North Carolina off the president’s itinerary in the campaign’s final days, a decision that Republicans trumpeted as a virtual concession of the state. Yet Romney’s team omitted Ohio and Wisconsin from a list of battlegrounds where they claimed narrow advantage. The Republican National Committee ad in Pennsylvania aired earlier in other areas of the country. Far less aggressive than many of the GOP attacks on the president, it said Obama took office promising economic improvement but had failed to deliver. “He tried. You tried. It’s OK to make a change,” says the announcer. Republicans said the decision for Romney and Ryan to campaign in the state reflected late momentum, while Democrats said it was mere desperation. Romney and his allies also made late investments in Minnesota and Michigan, states that went comfortably for Obama in 2008 but poll much closer four years later. In a possible boost for Obama, government and private sources churned out a spate of encouraging snapshots on the economy, long the dominant issue in the race. Reports on home prices, worker productivity, auto sales, construction spending, manufacturing and retail sales suggested the recovery was picking up its pace, and a measurement of consumer confidence rose to its highest level since February of 2008, nearly five years ago. Still, none of the day’s measurements packed the political significance of the campaign’s final report on unemployment, due out Friday. Joblessness was measured at 7.8 percent in September, falling below 8 percent for the first time since Obama took office. Unemployment alone explained the competition to be the candidate of change, the slogan Obama memorably made his own in 2008 and struggles to hold now. “Real Change On Day One,” read a huge banner at Romney’s first appearance of the day, in Roanoke, Va., and the same on a sign on the podium where he spoke in Doswell. He and his running mate also poked at Obama’s proposal to create a Department of Business by merging several existing agencies, including the Commerce Department, and the Republican campaign released a television ad on the subject. In the review, it is obvious that Bovard is trying to be sympathetic to Rand and still holds out hope that Rand may become a beacon of libertarian ideals, in Congress. However, solid scholar that Bovard is, he points out the many parts in Rand’s book that are downright puzzling, given that Rand poses as someone who claims to be suspicious of big government. Rand also promotes the government created myth that Flight 93 passengers, on 9-11, chose to crash their plane. Bovard writes that even FBI Director Robert Mueller has testified that the terrorists crashed the plane after the passengers tried to take it over. It is mystifying why a Senator as smart as Rand Paul would hitch his wagon to a federal agency that has tarnished itself and the United States around the world. Is the Senator receiving some extremely bad information from someone? Rand Paul is a work in progress. Will he take the principled high road that his father paved with such courage? Or will he simply become another conservative who flourishes government waste, fraud and abuse stories to make supporters believe he is going to roll back Leviathan? Unfortunately, the answers to those questions can not be found in Government Bullies. Rand knows better. 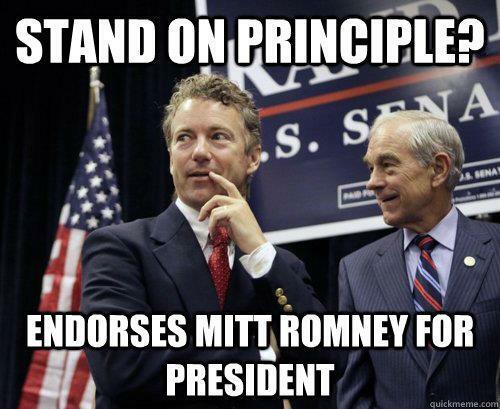 His enthusiastic endorsement of Mitt Romney should tell us all what road Rand has chosen. President Obama took time out from the campaign trail yesterday to visit a stretch of the devastated New Jersey coast and take on a role of comforter-in-chief that could be a major boost to his hopes of re-election next week. The President was accompanied by New Jersey Governor Chris Christie, a Republican bruiser and Mitt Romney backer who showered him with effusive praise for his handling of Superstorm Sandy, giving President Obama a bipartisan sheen that aides believe could help him secure victory on Tuesday. Leaving Republican presidential candidate Mr Romney on the sidelines holding campaign events in Florida in which he had to pull his punches and barely featured on TV, President Obama travelled to Atlantic City in New Jersey to get an aerial view of the widespread damage caused by the storm. 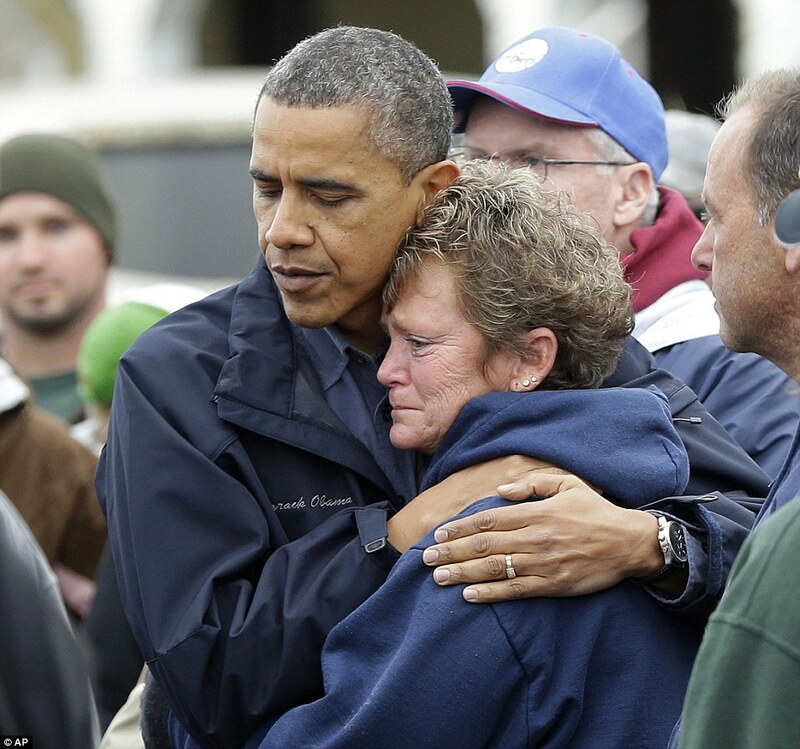 The images of President Obama offering solace to New Jersey residents who had lost their home could be of incalculable political value in the final few days of the 2012 presidential campaign. He was joined on the presidential helicopter, Marine One, for the one-hour tour by Governor Christie, who faces his own re-election bid next year and is widely believed to be laying the foundations for a presidential bid in 2016 should Romney lose this time around. Governor Christie said: ‘It’s really important to have the president of the United States here.’ President Obama returned the compliment. The politicians’ meeting came as people in the heavily populated US East Coast corridor battered by Sandy took the first cautious steps to reclaim their upended daily routines, even as rescuers combed neighbourhoods strewn with debris and scarred by floods and fire. Mr Romney was forced to reassure voters, a week before election day and following the massive disaster, that his administration wouldn’t leave disaster victims in the lurch. Map of U.S. East Coast showing deaths, damages from Hurricane Sandy, as of Tuesday, Oct. 30, 4 p.m.
With President Obama heavily involved in getting federal funds to those in trouble, the Romney campaign moved quickly to reassure the public it supports a strong program of storm relief. Only last year, as Mr Romney hewed to the right while battling for the GOP nomination, he seemed to downplay the federal government’s role in disaster response. ‘Every time you have an occasion to take something from the federal government and send it back to the states, that’s the right direction,” Romney said at a debate last June. However Mr Romney had altered that position when he released a statement on the disaster yesterday. ‘I believe that FEMA plays a key role in working with states and localities to prepare for and respond to natural disasters. Mr Romney had ducked a spate of opportunities on Tuesday to personally clarify his position and the statement essentially endorsed the current disaster aid system. President Obama and Governor Christie ladled on the mutual praise on Wednesday as they toured the damage sites. The President returned the kind words, telling the crowds of beleaguered New Jersey residents who had gathered that their Republican governor was ‘working overtime to make sure that as soon as possible everybody can get back to normal’. By Tuesday night, the winds and flooding inflicted by the fast-weakening Sandy had subsided, leaving at least 76 people dead along the Atlantic Coast and splintering beachfront homes and boardwalks from the mid-Atlantic states to southern New England. The storm later moved across Pennsylvania on a predicted path toward western New York State and Canada. At the height of the disaster, more than 8.2 million customers lost electricity – some as far away as Michigan. Nearly a quarter of those without power were in New York, where lower Manhattan’s usually bright lights remained dark for a second night. Governor Christie, who is a vocal supporter of GOP nominee Mr Romney, has changed his partisan tune after the storm, regularly singing President Obama’s praises in relation to the federal aid given toward disaster relief support. ‘The president has been outstanding in this and so have the folks at FEMA (the Federal Emergency Management Agency),’ Governor Christie told the Today Show on Tuesday. Governor Christie continued his new tact of effusively praising President Obama and the work that the federal government is doing in response to the hurricane, saying that the two spent a ‘significant’ afternoon together touring the Jersey Shore in Marine One. The governor said that the two have put their partisan differences aside and had spoken six times including their afternoon-long trip yesterday. The President was slightly more reserved with his praise, as he kept the majority of his remarks focused on the efforts of FEMA and ways for those who lost homes from the storm rather than his political rival. ‘Governor Christie has been responsive aggressive, making sure the state got out in front of this incredible storm,’ President Obama said. In time for the 2012 election countdown, I recently did some genealogy research to learn more about the background of both President Barack Obama and Governor Mitt Romney, and guess what—they’re related! What’s more: they’re also related to several former U.S. presidents, English kings, outlaws and celebrities. This is really huge! So huge in fact that our team at GenealogyBank decided to create this Infographic to show many of these surprising genealogical findings. Obama & Romney Are Related? Yes. Obama and Romney are both direct descendants of King Edward I of England, who was the eldest son of King Henry III and himself a father to numerous children by his two wives, Queens Eleanor and Margaret. King Edward I was perhaps the most successful of the medieval English monarchs. Known as “Longshanks” due to his great height and stature, King Edward I stood head and shoulders above other men of his time, towering at a height of 6’2. 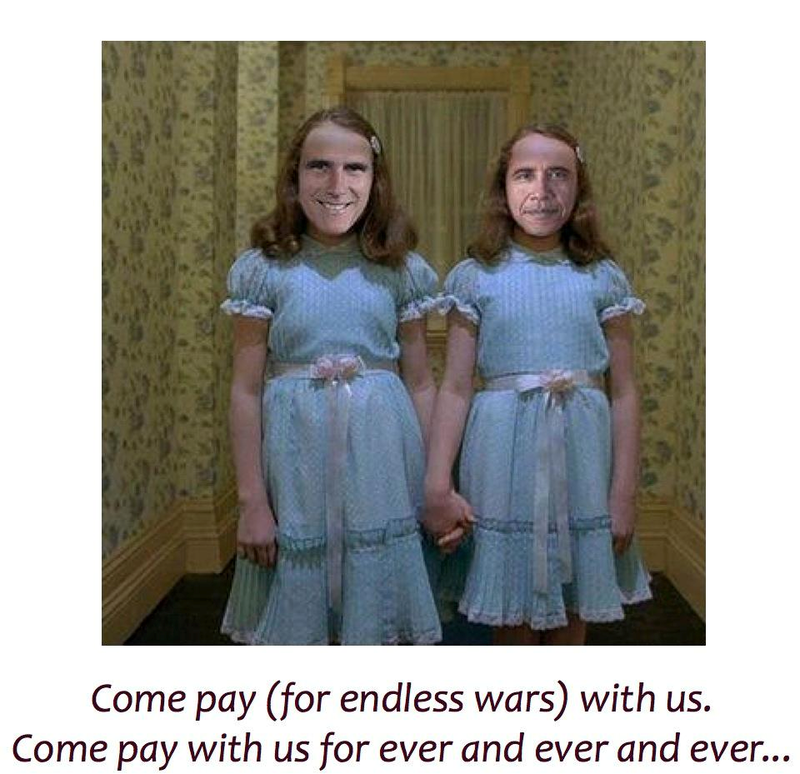 Romney and Obama are chips off the old block, both over six feet tall. Romney measures in at 6’2 and Obama at 6’1. The 2012 presidential candidates not only share a royal ancestor, they also have many distant cousins-in-common. These distant relatives form the impressive lineup of United States presidents featured in the White House Family Reunion photo in the Infographic above. Obama and Romney also have deep early American roots in their respective family trees. Mayflower passengers Edward and Samuel Fuller are both direct ancestors of Mitt Romney. They were part of the group of Pilgrims who founded Plymouth Colony in 1620. Romney is also a distant cousin to the early American President Thomas Jefferson, and Obama is a distant cousin to President George Washington. Another interesting ancestral find was that each of the presidential nominees is a distant relation to notorious American Wild West gunslingers. Wild Bill Hickok is a distant cousin to Obama, and William H. Bonney a.k.a. “Billy the Kid” is a distant cousin to Romney. Also noteworthy is that Romney is a relation to famous American actor Clint Eastwood, who has starred in many hit Western movies such as The Good, the Bad and the Ugly. Both of the 2012 election candidates share their family trees with Hollywood megastars, as well as other celebrities ranging from renowned American artists to British royalty. President Barack Obama was born in Honolulu, Hawaii, to parents Stanley Ann Dunham and Barack Hussein Obama, Sr. The Infographic features an old photo of Barack Obama II as a child with his mother Ann. President Obama’s father was born in 1936 in Kanyadhiang Village, Kenya. The Infographic features an old picture of President Obama’s dad Barack Hussein Obama, Sr., as an infant with the president’s paternal grandmother Habiba Akumu Obama. Governor Romney was born in 1947 in Detroit, Michigan, to parents Lenore and George W. Romney. The old family photograph in the Infographic shows the governor as a baby with his mom and dad. Mitt Romney’s father George W. Romney, the former governor of Michigan, was born in 1907 in Colonia Dublán, Mexico. The old picture in the Infographic shows Romney’s father as a child with Mitt’s grandma Anna Amelia Pratt Romney. Who knew the presidential candidates shared so many family connections? We’re continuing our ancestral exploration into the 2012 U.S. presidential candidates’ family trees. Make sure to stay tuned by following us here on the blog and on Facebook, Twitter or G+ to get more Obama and Romney family history. Fans of the “Ron Paul Revolution” were not happy with his son Sen. Rand Paul after he endorsed Mitt Romney last night on Sean Hannity’s Fox News Show. Paul explained that although his “first choice was always my father,” he insisted that he had a lot in common with Romney, who signaled to him that he was serious about a number of government reforms. A few fans approved of Rand Paul’s decision, but only 270 people “liked” his endorsement message. Others even speculated that Rand Paul was threatened or bribed into supporting Romney, by the Bilderberg group, suggesting that it wasn’t a coincidence that his endorsement came after their conference. Bilderberg 2012: were Mitt Romney and Bill Gates there? What a Bilderberg it’s been. Big names, big money, big decisions, big crowds. Somewhere around 800 activists outside the gates (up from about a dozen in 2009), and inside? Well, here’s what we learned. Four eyewitnesses on the hotel staff told me Willard Mitt Romney was here at Bilderberg 2012. My four eyewitnesses place him inside. That’s one more than Woodward and Bernstein used. 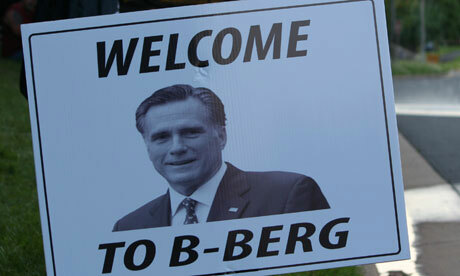 Romney’s office initially refused to confirm or deny his attendance as Bilderberg is “not public”. They later said it was not him. So, was he being crowned, or singing for his supper? Will Mitt Romney follow in the august footsteps of Clinton, Cameron and Blair to have attended Bilderberg and then shortly become leader? 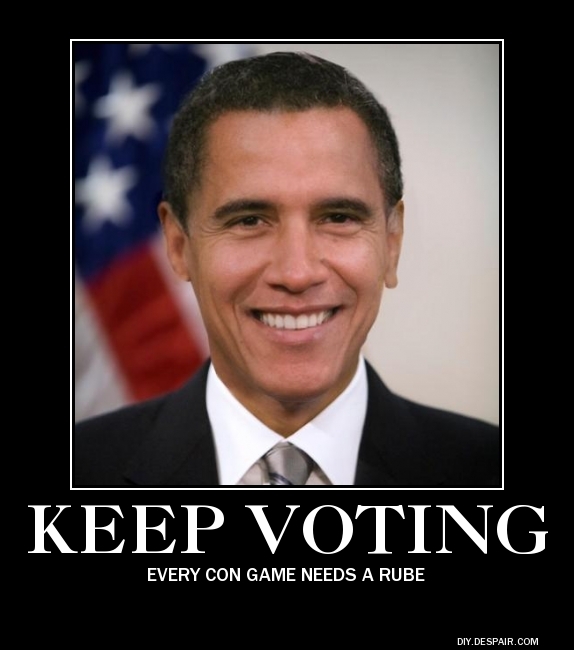 Four years ago, Senator Obama shook off his press detail and nipped (many think) into Bilderberg. This exact same hotel. Did Romney have to get down on one knee in front of David Rockefeller? This sounds flippant, but it’s a serious question: has Bilderberg switched allegiance? Are they going to toss away Obama after just one term? I put this question to author and Bilderberg expert Webster Tarpley. 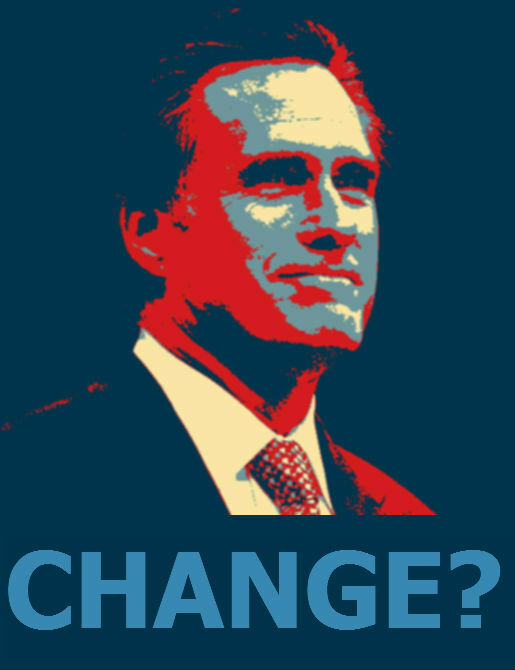 Is Wall Street going to throw its chips in with Romney? “I think there’s a frisson that’s gone through the ruling class against Obama,” he says. The leak we had from the flirty hotel staffer corroborated this. “They don’t seem to like Obama very much,” he said. Tarpley’s conclusion is this: “They want Romney and Mitch Daniels, who will run together as moderate rightists.” Governor Daniels of Indiana was on the official list. You won’t see the names Mitt Romney or Bill Gates on the officially released Final List of Participants because, well, the list is a nonsense. It’s nothing like a complete list of people who attend Bilderberg. It’s a smokescreen, a bit of spin. So can we all, please, stop repeating it as gospel? Attending Bilderberg 2012 as an ‘international’ participant was Bassma Kodmani. So who is Bassma Kodmani? The answer to that question is also the answer to the question: what the hell is happening in Syria? This is where it gets interesting (and worrying) for Bilderberg followers. Kodmani was at Bilderberg in 2008, the last time it was here in Chantilly. She is a member of the European Council on foreign relations – its parent group, the council on foreign relations, is a sort of über lobby group, a couple of rungs down from Bilderberg, but still hugely powerful. There’s a lot of CFR/Bilderberg crossover. Honorary chairman of both is David Rockefeller; co-chairman of the CFR is Robert Rubin (he was here); and on the CFR’s board of directors are Fouad Ajami and Henry Kravis, both at Bilderberg 2012. Bassma Kodmani is also the executive director of the Arab Reform Initiative. This body, set up in 2004 by the CFR, is helping to steer “a comprehensive process” of “democratic reform” in the region. In 2005, the Syrian National Council came into being. Bassma Kodmani was a founding member, and is on the executive committee. Kodmani is one of the SNC’s two spokespeople, alongside Radwan Ziadeh (who has a flawless Washington pedigree – look him up). According to its website, the SNC is a non profit public policy research organization register in the District of Colombia and headquartered in Washington DC. Just up the road. I asked Tarpley about Kodmani. He doesn’t mince words. “She’s a Nato agent, a destabilizer, a colour revolution queen. The fact that Kodmani was there is a scary one for Syria”, says Tarpley. To those gathered outside, at least, it looks increasingly like, at this year’s Bilderberg, the war of regime change got signed off. In the airport lobby, on the way home from Bilderberg, I looked up at a TV monitor to see Bilderberg attendee and CFR board member Fouad Ajami talking about how Syria is about to become another Libya. That sound you can hear? It’s all those juicy defence contracts being scratched out around Chantilly. Fuel the jets and open the champagne, boys. We’re going in. A statement of support from Occupy London was read out at Occupy Bilderberg. A symbol of Anglo-American unity, like Bilderberg itself. The statement protested against (amongst other things): the rise of an undemocratic “technocracy” – a “network of cronies” in which financial “experts”, largely from the international banking community, who have been appointed rather than elected, are handed the reins of government. So here you’ve got the (broadly speaking) liberal left protest movement, with its anti-corruption and pro-transparency agenda, finding common ground with US libertarians and an anti-Obama, anti-fascist, pro-union New Deal American like Webster Tarpley. As Tarpley says: “Bilderberg creates a singularity, where a lot of seemingly disparate things come together.” That applies not just to the people inside – megabank money and government – outside the security cordon you’ve got Occupy Bilderberg rubbing shoulders with US veterans, German students who’ve flown over for the event, truckers from Michigan, Orthodox Jews, Ron Paul supporters, anarcho-syndicalists, academics and grandmothers. Finally. The Washington Times sent Ben Wolfgang, the Guardian sent Ryan Devereaux and the Times of London actually tried to get a journalist inside – Alexandra Frean was turned away at the gates. But she tried. At least she tried. That’s a start. We can work with that. There was speculation before the conference that on the Bilderberg agenda this year would be how to implement a unique EU internet ID. Who would be pushing that through? Step up Neelie Kroes, EU commissioner for digital agenda. Presumably Eric Schmidt (Google) and Reid Hoffman (LinkedIn) would have been sharing podium-space with Bill Gates at that session. That’s if there was one, of course.